Legendary television and radio journalist Charles Osgood, FCRH ’54, received the 2017 News & Documentary Emmy Award for Lifetime Achievement on Oct. 5. at Jazz at Lincoln Center in New York City. 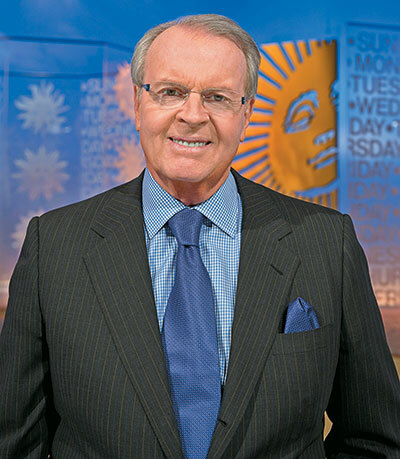 Osgood retired last year as host of CBS Sunday Morning after 22 years with the Emmy-winning show. He continues to host The Osgood File, heard on radio stations across the nation. Osgood sometimes delivers the short-form daily radio show in verse, helping to earn him the title of “poet in residence” at CBS News. When he retired from Sunday Morning, Osgood, 84, said people had been asking why he stayed with the show so long beyond traditional retirement age. Osgood got his start at WFUV, Fordham’s public media station, which honored him in 2008 by establishing the Charles Osgood Award for Excellence in Broadcast Journalism.